As we head into November, I couldn’t be more excited about this holiday season for so many different reasons. One of them is being able to share gift ideas with you. Growing up, the holidays were always a blissful time consisting of many family gatherings, karaoke, gifts, and all of the food you could eat! Now that I have a family of my own, it’s even more delightful to be able to share the holidays with my son, my daughter, and my fiancée. Our kids have grown so beautifully and now that they’re preschool age, they are able to verbally express to us what gifts they look forward to receiving, what types of places they’d like to visit, and the activities they would like engage in. With all of that in mind, it’s really easy to get caught up in what the kids want and forget about yourself and/or your spouse. 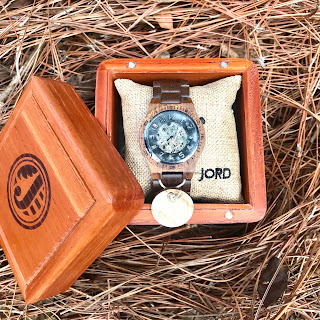 That’s why this holiday season, I’ve partnered with Jord watches to make gift giving super easy. 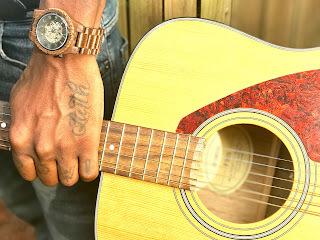 This fashionable watch is made from 100% hand-finished wood, that makes the perfect accessory for men and women! 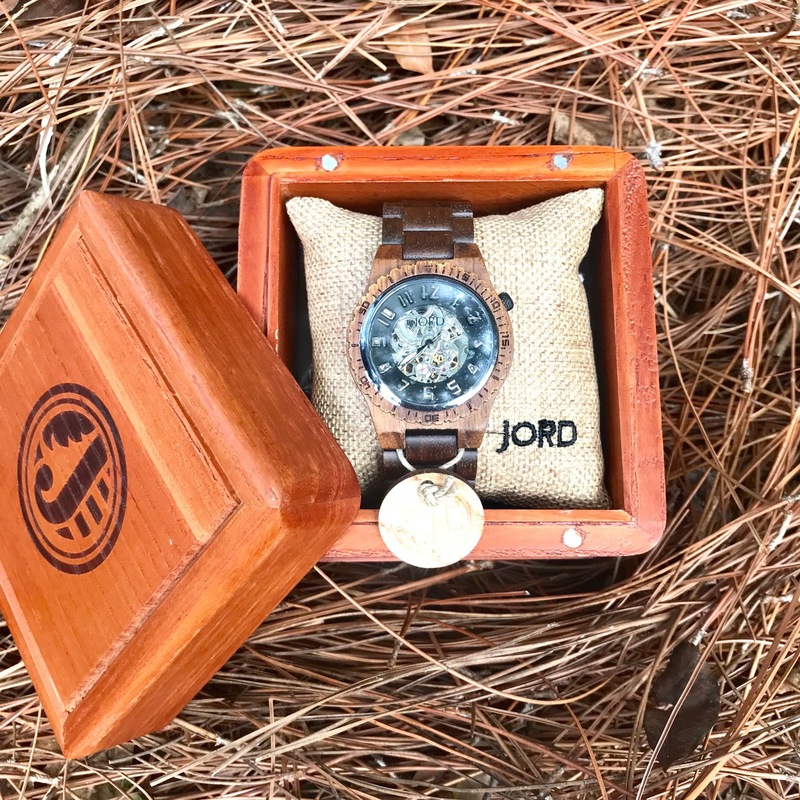 Jord also offers a custom engravement option for that special someone. Whether it be a name, a favorite quote, or anniversary date, your loved ones are sure to adore and truly value this unique time piece. As a frequent online shopper, I am always intrigued by packaging. Jord didn’t disappoint when they sent out their product. 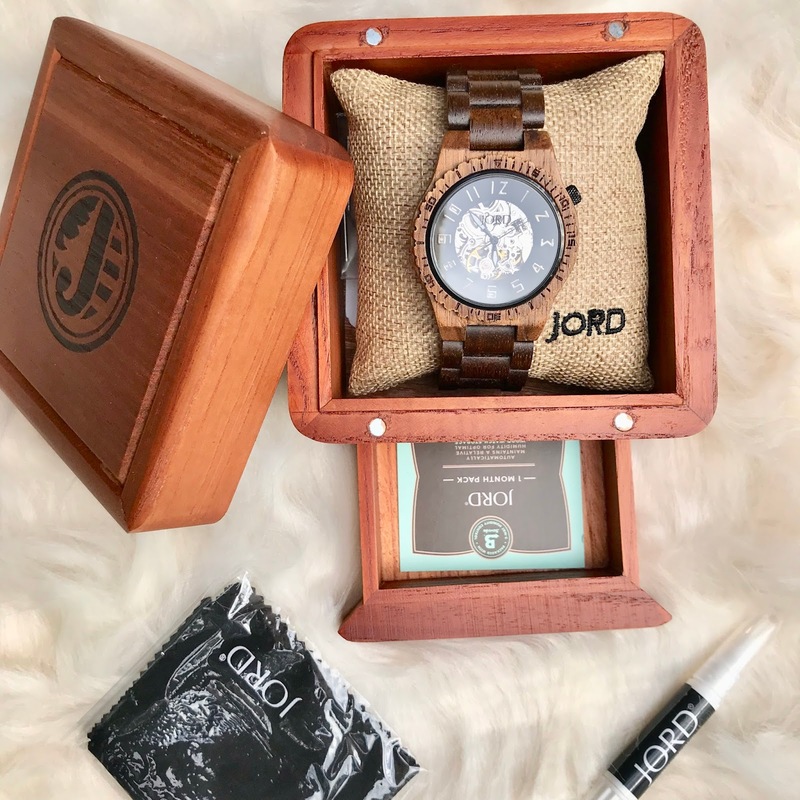 From their custom packaging, to the hand-crafted wooden box that the watch is stored in, I have to admit I’m truly impressed! The wooden box also includes a small drawer for storage- where you can keep your cloths and your finishing oil, which is also included. 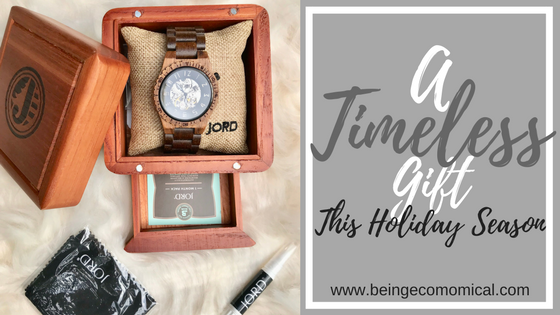 To make the deal even sweeter, YOU have a chance to instantly save 25% off your wooden watch until December 19th! 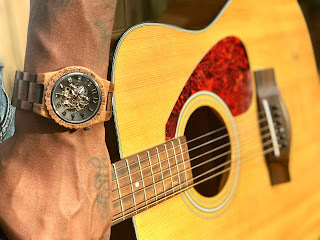 That’s right, get your code now at: https://www.woodwatches.com/g/beingecomomical and get this wooden beauty on your loved ones’ wrist this holiday season! They even have a selection of wooden watches for women as well. Don't waste time searching anywhere else! This is a really nice gift option that ANYONE will love and it will last forever! Every time your special someone looks down at their wrist, they'll automatically think of you, which makes this the perfect option for giving something extraordinarily beautiful!